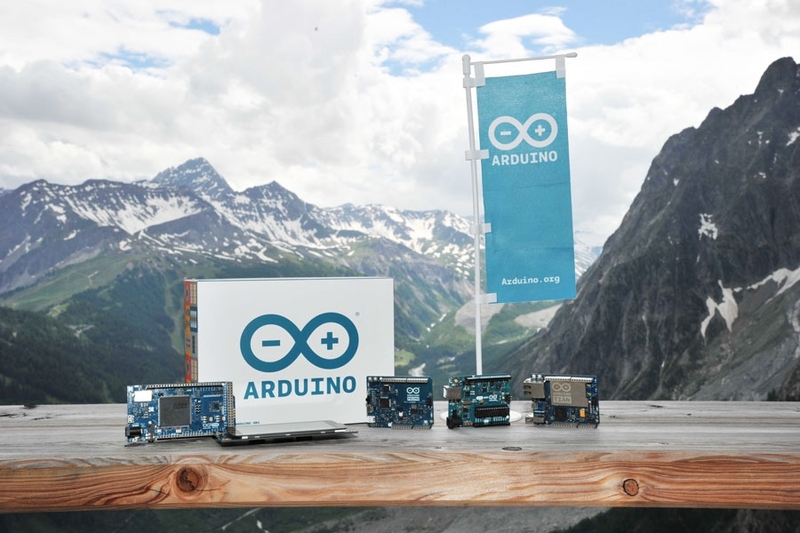 "Creativity comes from talent and never from knowledge"
“The first Arduino Developer Summit was recently held halfway up Mont Blanc (Monte Bianco), the tallest mountain in Europe. The goal: bring Arduino community developers together with engineers from leading semiconductor companies to discuss the future of Arduino. The hardware spotlight shined on advances from ST Microelectronics, Nordic Semiconductor, Microchip, EnOcean, Solbian, and of course Arduino Srl. The software spotlight shined on ecosystem advances from Snap, PlatformIO, Codebender, Antmicro, Mynewt, and other projects initiated by Arduino Srl developers, University researchers from Milano and Messina, and Messina Smart Cities initiatives.”, – Arduino. This entry was posted in PlatformIO and tagged Alps, Arduino, Conference, Mont Blanc, platformio, Summit on July 7, 2016 by Ivan Kravets.